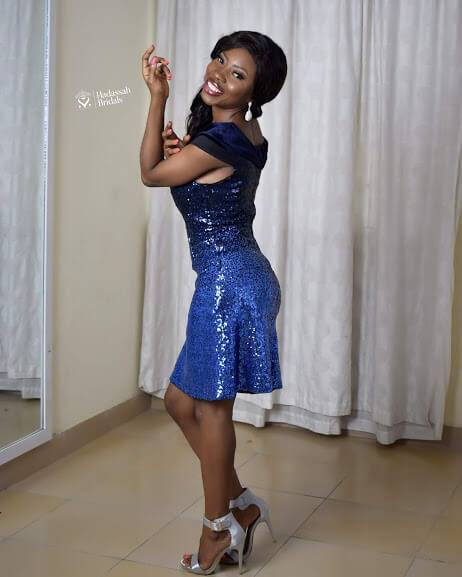 Be beautiful in this trendy reception prom party dress available for sale in Lagos. This sparkling dress can also be used for a dinner party. It is a perfect second dress for the trendy Nigerian bride. This wedding reception dress will bring out the beauty of your body shape, making you look beautiful for that wedding reception, birthday party or the dinner party. Door step delivery available nationwide.